With this product you can accumulate up to 75 Glitter Points. Combats stains, wrinkles and loss of elasticity. 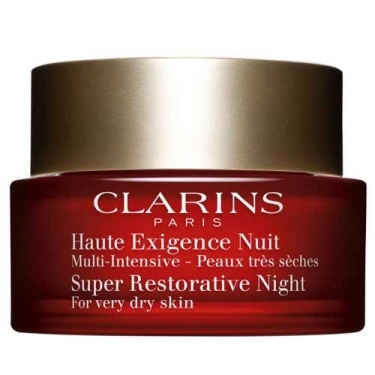 DESCRIPTION: Haute Exigence Nuit Multi-Intensive PS from Clarins is a care cream for the face moisturizer intensely and stimulates cell renewal and collagen production. During the night, the Pueraria lobata revitalizing extract contributes to halting the loss of light, the appearance of wrinkles and spots and loss of elasticity. Upon awakening, the skin is fresh, full of vitality and youth. Apply cream in the evening on face and neck using light pressure.